24k Gold Leaf. 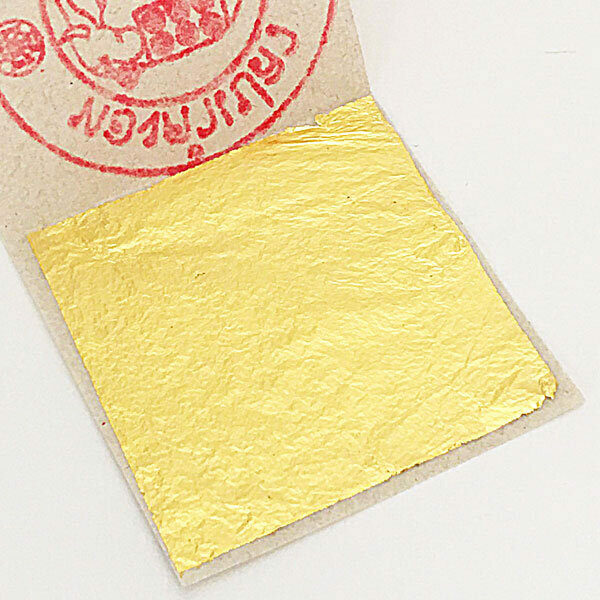 The gold leaf is placed loosely inside a tissue paper, one for each leaf. You can pick up the leaf with the gilder’s tip and place it onto the prepared surface, or simply drop it directly from the booklet onto the surface. 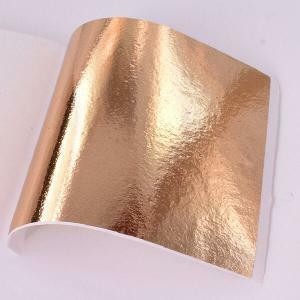 Perfect for gilding furniture, walls, ceiling and decorative objects. 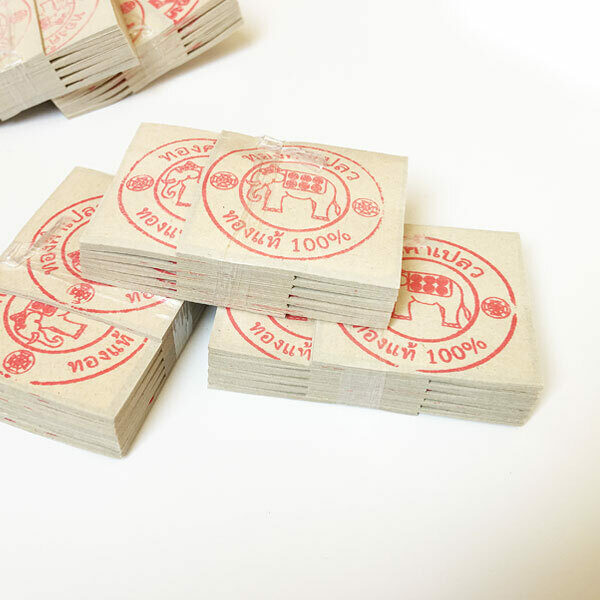 Applicable on all kinds of materials such as wood, metal, gib-board, stone, glass, ceramic, concrete, paper, plastic, fabric etc. – 24k Genuine Gold Leaf. – Best choice for headstone gilders and gold lettering. – A bit thicker than the 43x43mm thus makes it best for rich looking. 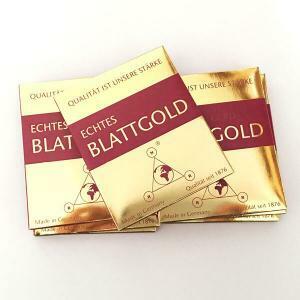 Genuine gold leaf is different from imitation gold leaf. 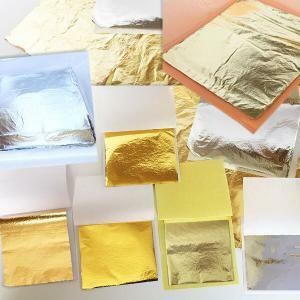 The genuine is much more expensive, because they are made from real gold, whereas the imitation gold leafs sometimes called “gold leaf” —which is misleading— are made from copper, zinc and other alloy. 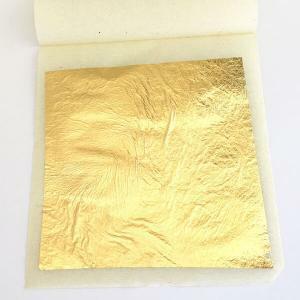 You can easily test any gold leafs by brushing it with some vinegar before you apply a sealer to it. If it does not change colour then its genuine but if it oxidize and change colour after a day or two then its imitation and not genuine gold.